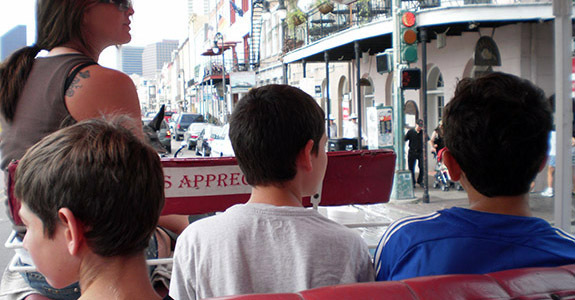 One of the best ways to tour the French Quarter is to go on a carriage ride. We did this just a bit before sundown and it was something that both the kids and the adults thoroughly enjoyed. We took a short tour of the historic buildings, and our lovely tour guide filled us in on all the legends and lore. It was a great intro to get us oriented in the city. Something about the clippity-clop of those hooves and the old buildings really took us back in time. New Orleans has a very interesting vibe, it's romantic and creepy all at the same time. 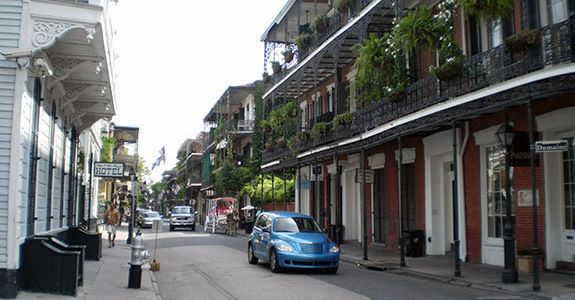 It was fun to check out the beautiful buildings whose architecture is so unique and learn about Mardi Gras and the festive atmosphere that is synonymous with the city. We also bought some beads for fun and got a chance to hear some Zydeco music. Please be careful after dark, there are a lot of bars especially on Bourbon St and it can get really crazy. With the kids in tow, we felt it was safer to stay on the fringes.